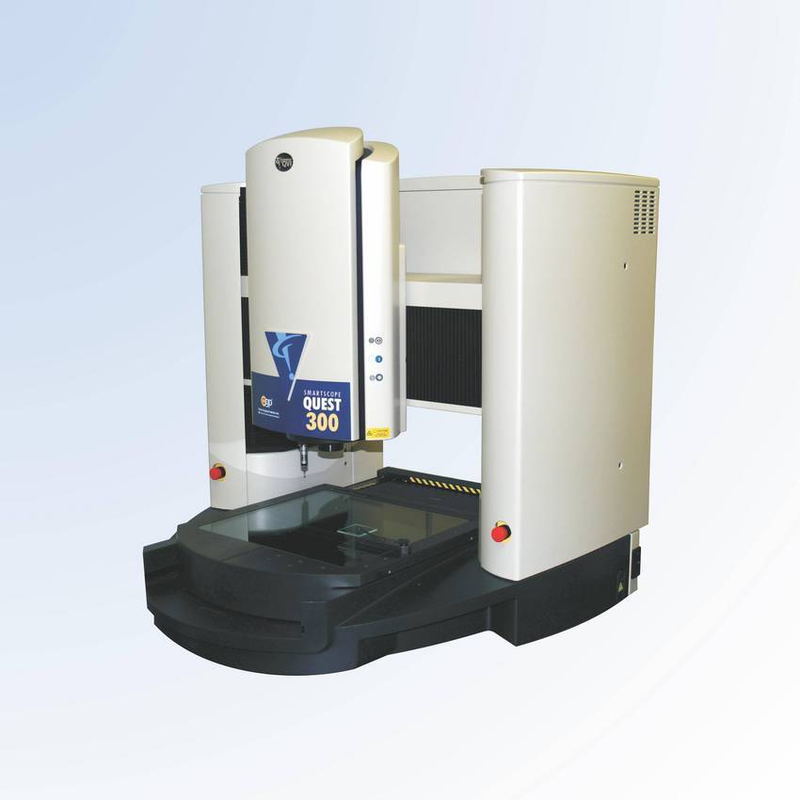 Smartscope Quest 300 - CMM Inc. The Smartscope® Quest™ 300 combines state-of-the-art video and autofocus to deliver high productivity that any user can enjoy. This multisensor measurement system also offers the perfect combination of versatility and accuracyfor the most challenging and demanding parts. With an expansive 300x300x250 mm (12x12x10") XYZ measurement volume, the Smartscope® Quest™ 300 offers incomparable precision. Users have the option to add TeleStar® telecentricinterferometric through-the-lens (TTL) laser, touch probe, or micro-probe to configure a highly capable multisensor system.